optimizing solutions to ensure that when change does happen, it does so in the right direction. 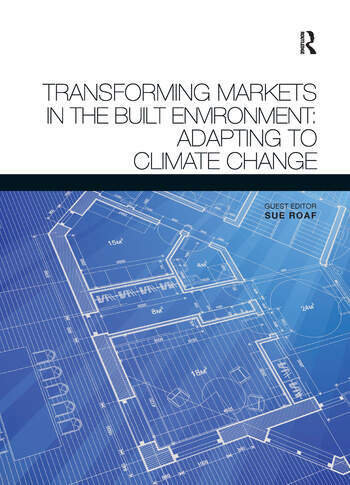 Professor Susan Roaf is the Chair of Architectural Engineering at Heriot-Watt University, Edinburgh. She is the author of 'Closing the Loop: Benchmarks for Sustainable Buildings' (2004) ; 'Ecohouse 3: A design Guide' (2007) and 'Adapting Buildings and Cities for Climate Change' (2009).